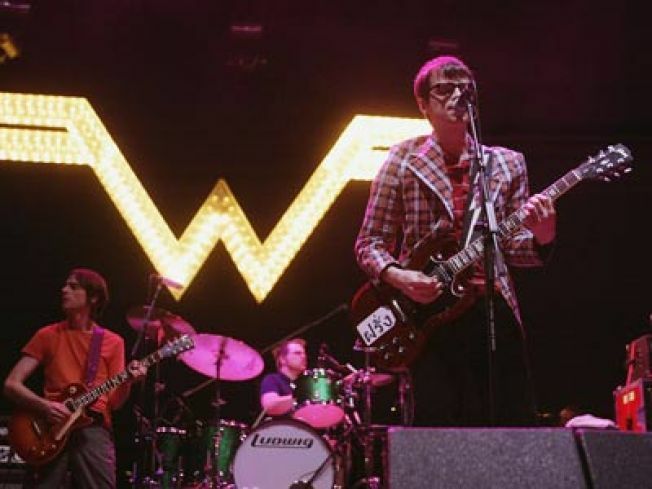 You have the chance to see Weezer play San Francisco tonight for free but are you willing to pay the price? Weezer is pulling a page out of Green Day's book and playing a surprise San Francisco show tonight. The best part of the show is that tickets are free. The downside is the tickets are almost impossible to get. The show takes place at The Regency in San Francisco at 8 p.m. tonight with a special performance from Natalie Portman's Shaved Head (note: the actual actress' shaved head will not be in attendance as far as we know). The only legitimate way to get your hands on tickets is to line up at the door early. They will be given away on a first come, first serve basis. "SF peeps may be asking 'when is it ok to line up for the Myspace show on Wednesday?'" The band wrote on its MySpace page Wednesday. "The answer is: First thing tomorrow, or if you are feeling frisky, go for it late tonight! Stay safe, bring marshmellows!" There is another way but it may feel a little dirty. Social networking site MySpace is promoting the show as part of its Secret Shows series. And the only way to get tickets without playing hooky from work or applying for a MySpace Visa card -- which they say will get you in the door -- is becoming Rupert Murdoch's mistress. The aging conservative media mogul owns MySpace and if you had his love, we're sure he would be able to get you in the door. Unfortunately no tickets have shown up on Craigslist yet. If you aren't willing to pay the price to hear "Buddy Holly" live, you can grab Weezer's new album "Raditude" Nov. 3 and say you were there.